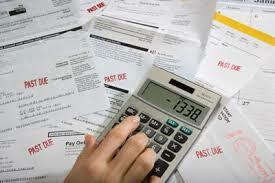 There is new concern over the level of household debt in Canada. A new report from The McKinsey Global Institute says that all of the major economies it researched have higher ratios of debt to GDP than they did in 2007, before the financial crisis. However, whereas the ratio has improved in countries such as the US and UK, it has worsened in others including Canada, and to levels in excess of those at the peak of the financial crisis. The institute recommends a number of mechanisms to avoid a property-related debt crisis including flexible mortgage contracts, clearer personal-bankruptcy rules, and tighter lending standards and macroprudential rules. The report acknowledges that debt is necessary for economies to grow but advises that there needs to be improvement in how it is handled. This may have something to do with our having to be so connected: the latest tech gadgets and toys as well as our huge costs for service: cable, telephone etc. The feeling of entitlement and lack of self-control for all things permeates all levels of our society. I have been saying we need tighter macroprudential rules for years now! << I mean really... who says that! lol, I don't even know what that means. aha. Also, Please link to the report or I don't believe it exists.